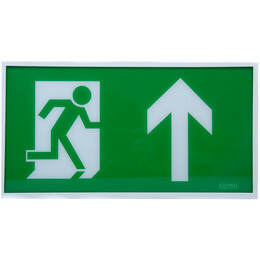 The LED Exit Sign by Dale utilises LED technology to offer an attractive, high quality and cost effective solution for emergency exit sign needs. This fitting comes with the added advantage of ‘self-test’ operation as standard. Self-test operation as standard to BS EN 62034. Low running costs (2.1W LED equivalent to 8W fluorescent). Uses 24 white LEDs Long life LED technology. Lightweight & easy to install. 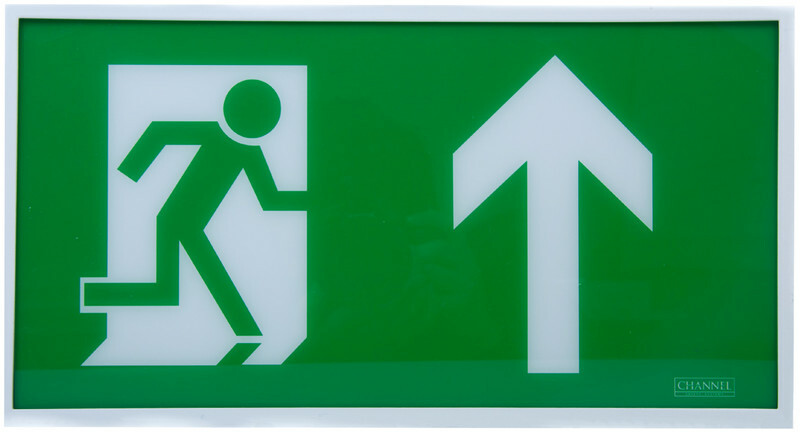 Maintained or non-maintained 3 hour emergency backup. Prismatic difuser on underside to illuminate door exit. Quality sheet mild steel housing (white RAL 9003). Incorporates 4.8V 800mAh NiCd battery. Meets BS EN 60598-2-22 and other relevant standards.